QR Codes Anywhere: Window Perfs (Invisa-view) Powerful Storefronts! 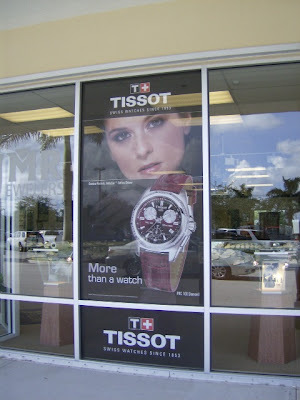 Window Perfs or "Invisa-view" have become immensely popular in the digital print age amongst retailers. No wonder! 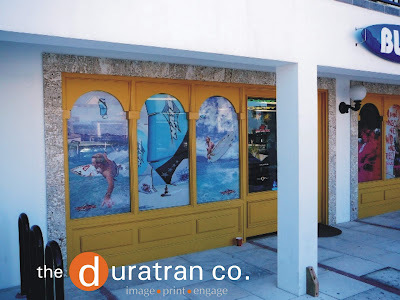 UV protected and water resistant, this self adhesive media is PERFECT for storefronts. Tiny holes make up almost 30% of the surface giving the image transparency while viewing from behind. This is important to stores because restricting views from within due to window decals can raise safety concerns. Storefronts are an important tool in engaging the shopper and prompting their curiosity. This type of media isn't for every storefront but it's a great option to consider. Window Perfs, Invisaviews and other self adhesive products should be in every brand's portfolio and shouldn't cost an arm and a leg to produce. Custom size availability and product lifespan are all things to consider when choosing a printer for this application. Installation seems scary but it's actually a pretty simple process. 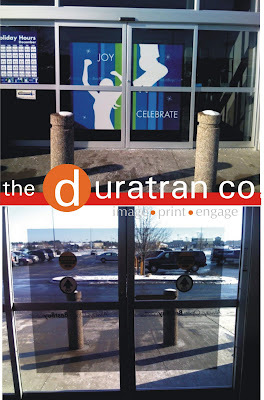 The Duratran Co, experts on Window Perf printing, recommends using a soap and water solution to prep the window. They refer to in as a "wet install". After spraying down the window, peel off the backing on the graphic revealing the adhesive and lay it down on the glass. The soap solution will offer flexiblity when aligning the image to the window. Next, using a squeegee , flatten any air bubbles that exisit and set the graphic. Last, take a dry rag and remove any excess water. Most stores are quick to hire an install company but a few sets of hands and the soapy solution can get a majority jobs done. Window Perf Printing Services - Print247365.com is a leading printing services provider company in USA that offering window perf printing and design at affordable price. Window Perf is an adhesive-backed, perforated synthetic substrate with full color printing on one side. It is designed to let you put your message get print on it for clients.